2017 is finally here and it’s the perfect time for reflection and forward planning. 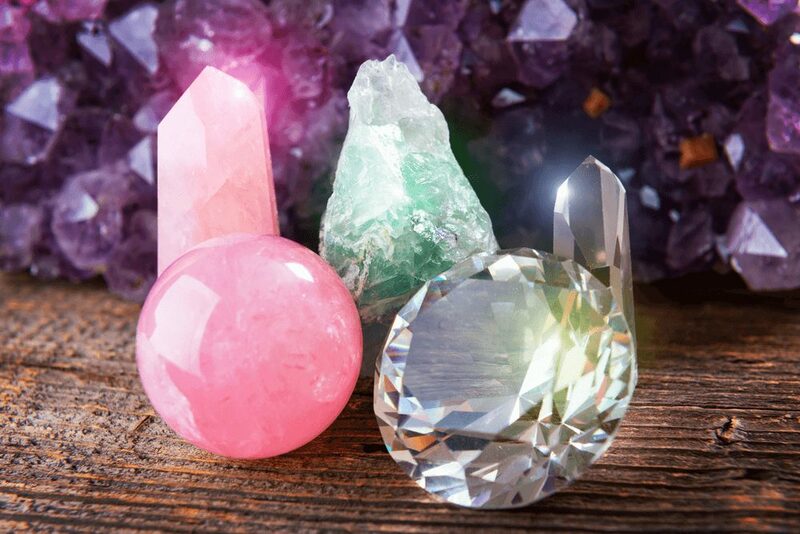 If you’re looking for some help in achieving your love, money, health and career goals, take a look at these four healing crystals for guidance. If you want to increase the amount of love in your life, a rose quartz should be the first place you turn. It will open your heart to love, care and positive energy. A rose quartz won’t magically bring Mr or Ms Right into you life but it will equip you with the power and positive energy to attract the love you want and deserve. Wear this stone or keep it near you while you sleep as a reminder that love and happiness is within your reach. Do you want 2017 to be the year you finally gain control of your finances? If so, introduce an amber crystal into your life. It will help give you the determination, wisdom and confidence to adopt financially positive behaviours while encouraging you to let go of bad money habits. If you’re looking for a get-rich-quick crystal, your dreams are unlikely to materialise. In order to become wealthy, you need to be willing to do the work yourself. No crystal will help you win the lottery or land a rich partner. For true wealth, you’ll have to get out there and do the work yourself. Don’t wait for the money to fall into your lap. By eating well, exercising regularly, avoiding stress and getting enough sleep, we can often minimise our chances of getting ill. Frustratingly, it’s impossible to avoid illness completely and we’re bound to feel under the weather from time to time. Thankfully, keeping a turquoise crystal by your side could help to speed up the healing and recovery process. This beautiful crystal has been used for centuries to promote health and wellness. Please remember that crystals must never be used as an alternative to traditional treatments or a medical professional’s advice. If you’re feeling ill, be sure to seek the support of an expert. Ensure your career is as smooth-sailing as possible with the help of a stunning obsidian crystal. No one’s career path is perfect – you’re bound to experience hurdles along the way – but an obsidian will help to minimise drama and equip you with the strength and confidence to take obstacles in your stride. Your courage and morale will be clear for all to see. In fact, your newfound tenacity is likely to impress those you work with and inspire them to see you in a fearless new light. Looking for a promotion? An obsidian crystal will help. Can dominoes help to tell your future?